When called upon to act as a personal representative, whether in the capacity of an attorney, executor, or trustee, the issue of compensation is often called into question. The basic starting point for executor or trustee compensation is the will or trust document. When called upon to act as a personal representative, whether in the capacity of an attorney, executor, or trustee, the issue of compensation is often called into question. The work that is involved in administering an estate or the property of another can fluctuate widely, which can lead to disagreement regarding entitlement and quantum of compensation, especially in circumstances where the administrator is also a beneficiary of the estate. 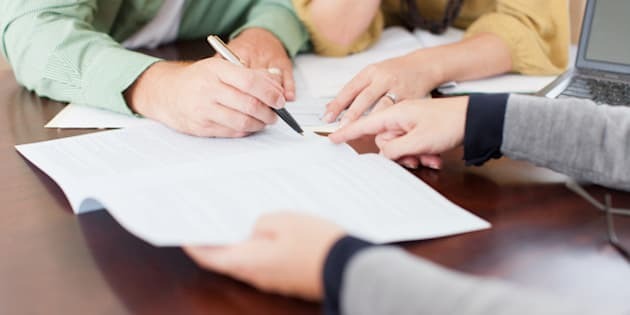 Often, when the amount of compensation claimed by a personal representative is perceived (by the beneficiaries) as excessive, it quickly becomes a contentious issue. For this reason, the assistance of the court in overseeing the process and adjusting the amount claimed may be required. The basic starting point for executor or trustee compensation is the will or trust document. If the will provides for specific compensation or contemplates how it should be calculated, this is the formula that is typically adhered to. However, more often than not, these provisions do not appear within the will. Accordingly, guidelines are provided by section 61(1) of the Trustee Act, which states that a “personal representative is entitled to such fair and reasonable allowance for the care, pains and trouble, and the time expended in and about the estate, as may be allowed by a judge of the Superior Court of Justice”. The Trustee Act does not provide for a formula or any further guidance as to how the compensation should be calculated. Case law has stepped in to set out the standards to be used to help determine what a “fair and reasonable allowance” means. In fact, a percentage tariff calculation has been developed, which now serves as the baseline for the calculation of trustees’ compensation. The tariff sets claimable compensation at 2.5 per cent of the value of each of the capital receipts, income receipts, capital disbursements and income disbursements, and also permits an overall care and management fee of 2/5 of one per cent of the average annual value of the assets. However, the amount of work involved in administering an estate can vary considerably. There are a variety of factors that can affect this aspect of the role. The challenge that arises with using a fixed tariff, such as the one described above, is that it does not account for these differences. Accordingly, applying a fixed tariff without considering other factors can lead to disproportionate results. For instance, an individual may be compensated (what may be perceived as) too highly for an estate that required only basic skills and care, while someone may be compensated inadequately for a more complex estate administration that required a greater degree of involvement and risk. the degree of success resulting from the administration. With respect to attorney compensation under a power of attorney for property, the rules are slightly more clear. The Substitute Decisions Act (“SDA”), at section 40 and section 1 of Regulation 26/95, provides an express formula to be used as a starting point, where the power of attorney document does not speak to the issue of compensation. This formula generally results in higher compensation paid to attorneys or guardians of property than is paid to trustees in accordance with the tariff described above. It provides for three per cent on both capital and income receipts and disbursements as well as 3/5 of one per cent on the annual average value of the assets as a care and management fee. However, similar to executor and trustee compensation, the formula contemplated by the SDA is merely a starting point. The courts will similarly look at the amount of work that has been done, the value of the assets involved, and the level or skill demonstrated, among other factors. If necessary, the court may adjust this amount by increasing or decreasing it, as needed. Not surprisingly, many disputes arise with respect to the amount of compensation being claimed by a fiduciary. This is particularly so when it is perceived that the compensation being claimed is greater than the effort that has been put forth by the representative. This may be viewed as leading to a disproportionate result. In other cases, it is common to see a challenge to compensation when there is an element of dissatisfaction with the way that the administration was managed. In these cases, what typically happens is that the accounts are prepared and circulated in the court-passing format, either voluntarily or by court order. Often, the beneficiaries feel that no compensation at all should be allowed. This is relatively common to see when the nature of the appointment is one that names either a beneficiary or family member as the representative. Some may feel that this role should be undertaken gratuitously, as the representative is either already receiving an interest from the estate as a beneficiary or that he or she has a moral duty to do so as a family member. This effect may be exacerbated when there is an otherwise equal distribution of the estate. The compensation claim may make it appear as though one beneficiary is receiving more than the others. As a result of the high potential for disputes arising out of compensation issues, it is important for families to have a clear understanding of what is involved in the administration and plan for a method for determining appropriate compensation as early on as possible. This can help in avoiding surprises at the end of the administration and can help manage the expectations of beneficiaries. This can be a relatively easy conversation to have if done early on. A discussion of this sort can focus on the tasks that will be involved in the administration and emphasize the nature of the work that might be required, such as arranging for the sale of any real property. It is also important for there to be a clear understanding of the difference between compensation and expenses. A personal representative is able to claim for the out-of-pocket expenses incurred while administering the trust property, in addition to compensation. The compensation is the amount that is claimed for services rendered over and above the reimbursement for expenses. Ensuring that this is clear and appreciated by all involved can make a significant difference in the likelihood of disputes arising later on. As such, it is highly recommended to sit down as a family and, carefully and rationally, determine what is fair and reasonable in terms of compensation. Waiting until a dispute arises to address this issue can be devastating. All too often, once tensions are running high and decisions are being made from an emotional standpoint, it becomes increasingly more difficult and more expensive to reach a resolution regarding the compensation claim to which the fiduciary and beneficiaries are agreeable.